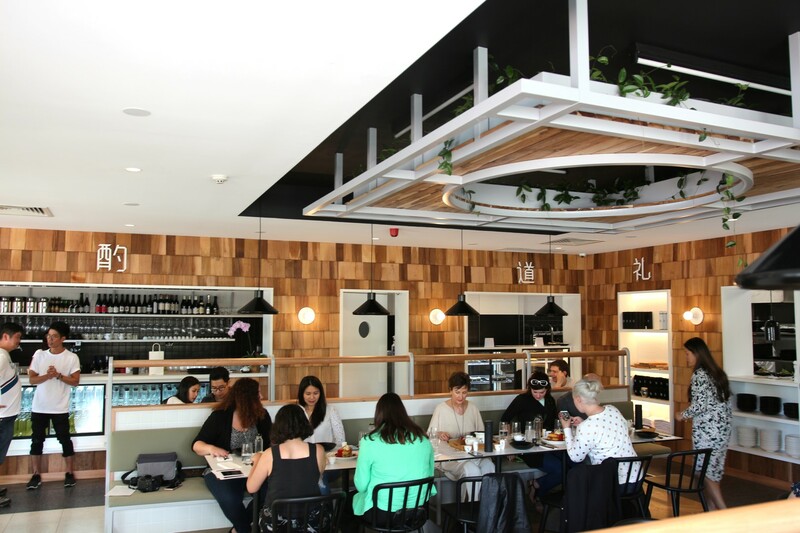 Prepare to have all your brunch expectations challenged at the new Bai Long Store on Hutt Street, brought to you by guys behind popular South East Asian joint Gin Long Canteen. When it comes to brunch, we know for sure Adelaidians like to hit up a quaint, local cafe nearby to get their fix; not many would actually think to head to an Asian restaurant for a spot of eggs on toast. Bai Long are here to challenge that tradition with their delectable brunch menu, offering a vast and highly diverse list of dishes for brunchers to experience. Unforgettable, unique flavours and comforting textures make this menu a must-try. We were quite simply blown away with the dishes on offer and, in particular, the way in which Bai Long had seamlessly paired Western brunching culture with traditional Asian ingredients. Obsessing over the aesthetic interior design of Bai Long Store on Hutt Street. After attending a three-hour long, entirely decadent VIP brunch at Bai Long last Saturday, we have simply been itching to return. We want to be the first to show all our friends and family this memorable foodie spot. Our day started with the Bircher Muesli, easing us lightly into the feast which was to come. 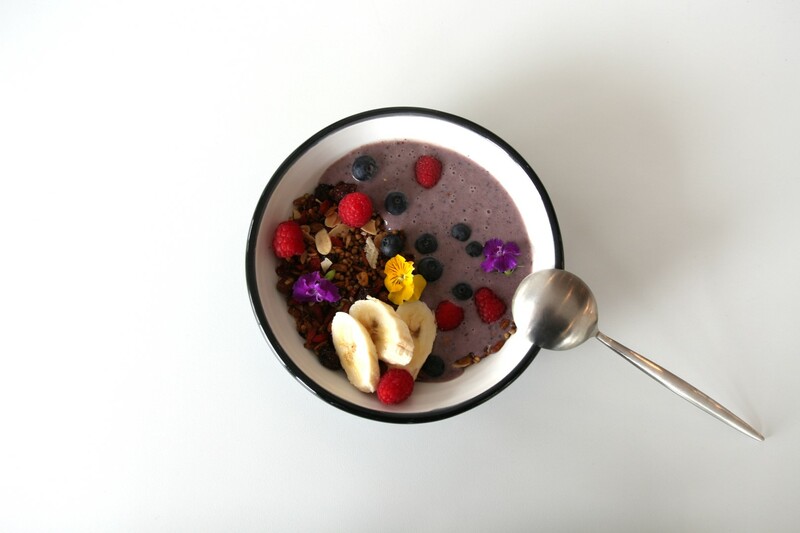 This bowl of freshness included chia, fruits and oats, with a smoothie-bowl type structure that offered the perfect ratio of crunchiness to softness. It was followed by a taste of the rich savoury pies they have on display at the counter. We tried the vegetarian one – it was so full of flavour we truly did not notice the absence of meat until we were told it was the veg alternative! Next came the Scrambled Tofu which, upon first bite, we were sure this was to be our favourite of the day. Scrambled tofu, poached eggs, cauliflower and a dense, black sourdough came together flawlessly; we loved this spin on the conventional scrambled eggs breakfast. 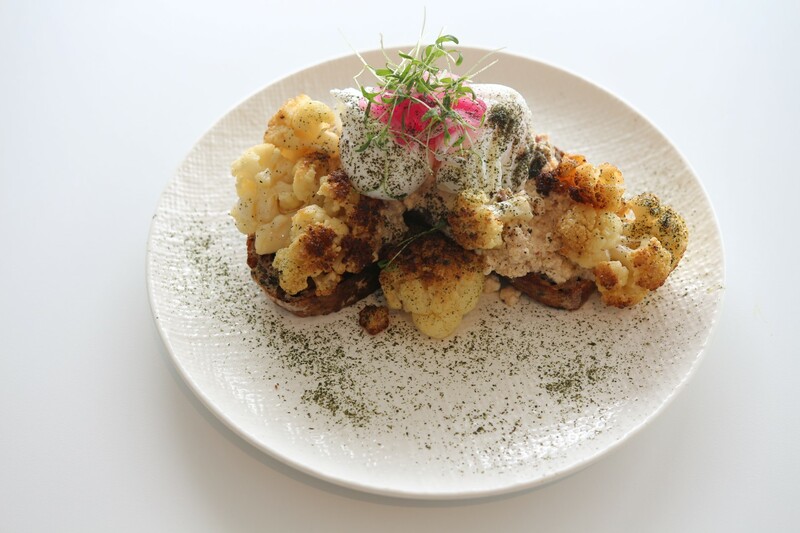 There was also a notable element of richness to it that came unexpected after reading the healthy list of ingredients such as tofu and cauliflower on the menu. Then the Dukkah Eggs came out, and we were convinced this would be the winner. 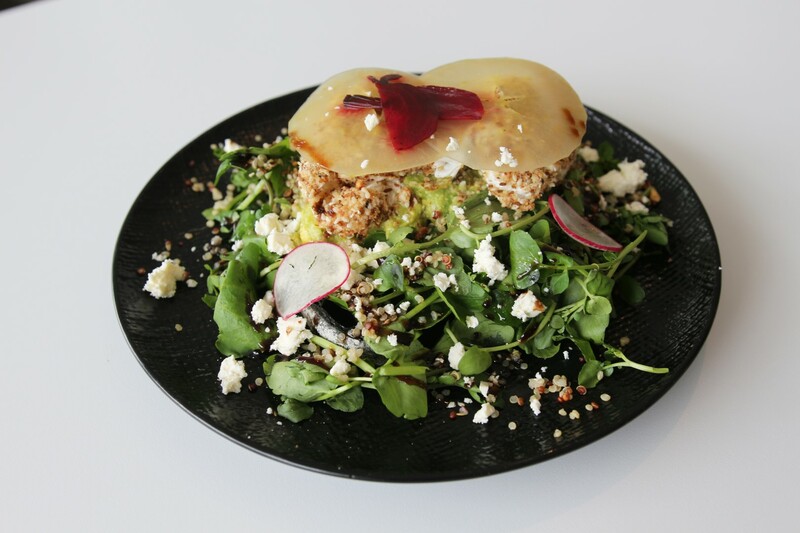 Underneath thinly compressed apple slices sat two perfectly poached eggs, smothered in crunchy spiced dukkah to give the dish a kick. The eggs were complemented with avocado, quinoa and black sourdough again, combining some of our favourite brunch ingredients. It just kept getting better when the Roti Benedict arrived, and we knew we had finally found the one. This dish was complex in flavour and texture, with distinct Asian flavours coming through the miso eggplant and tom yum hollandaise. Where it would have been otherwise quite basic with just eggplant and hollandaise on a piece of sourdough, the entire dish completely levelled up when adding the Asian cuisine aspect. 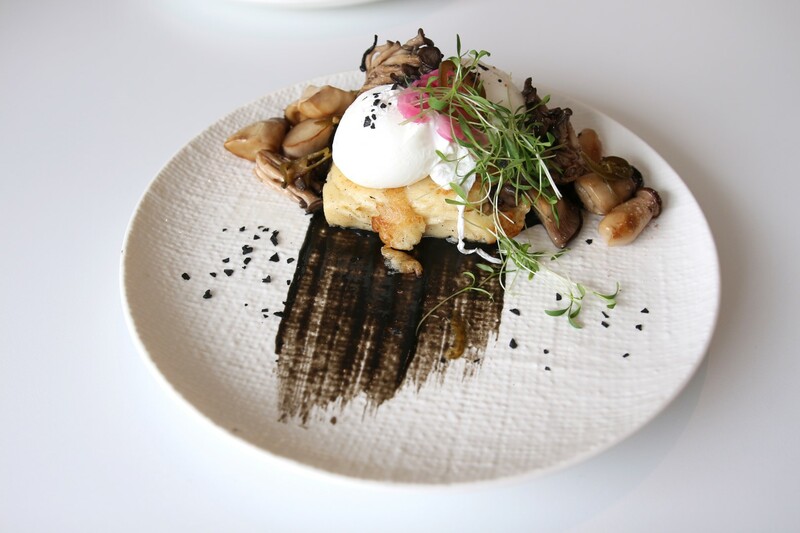 We also had the chance to try the glorious French Toast with rose-watermelon, maple fraiche and brioche, and the Confit Mushroom served with a poached egg, sesame puree and semolina. 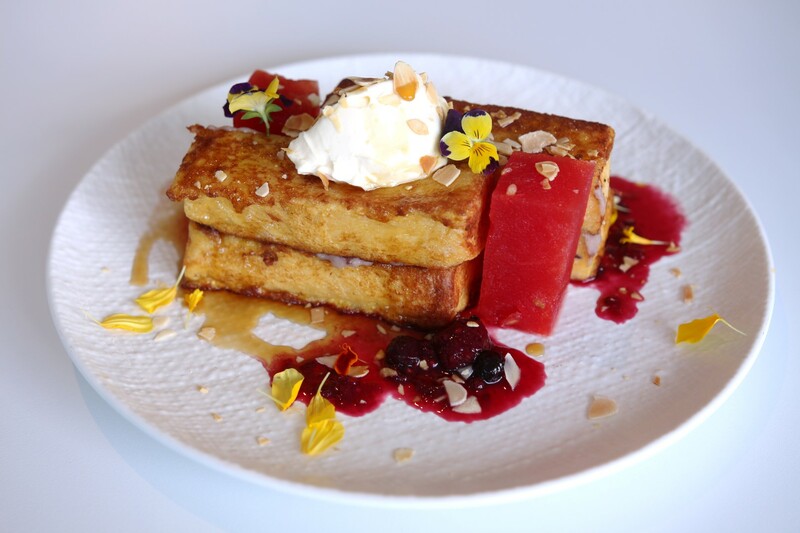 The French Toast was, yet again, one of the most texturally satisfying brunch dishes we’ve tucked into (not to mention the most pretty! ); the toast was ever so thick and had a delectably creamy density that could be likened to the texture of polenta. It had been expertly balanced between sweet and savoury. The Confit Mushroom’s presentation was also immaculate; we loved the minimalist aesthetic of the sesame puree stripe smeared along the plate. The Brown Rice Sashimi Bowl and Noodle Salad were a refreshing, lighter style of brunching, and were a good contrast to the heaviness of the previous choices. These dishes are suitable summer dishes and would be the kind of meal we’d enjoy after a hefty gym session or morning hike. Both were also customisable, with the Noodle Salad having the option of adding chicken, duck or leaving plain for vegetarians, and the Rice Bowl offering a choice of vegetable, chicken or sashimi as toppings. Overall, we are 100% impressed with Bai Long. Even if you weren’t to come for the food, the interior design is clean, minimalist and aesthetic, making it a totally relaxing spot to read a book over one of their incredible iced teas or a coffee. The space has been thought through thoroughly and it really is safe to say the creators have executed this project impeccably.